The guest cabins are roomy with four pair of bunk beds each; capacity of 8 per cabin. 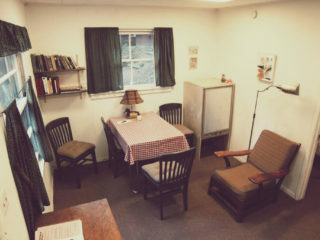 There are four guest cabins for a capacity of 32 people. The Retreat Cabin is perfect for small groups and families up to 6 people. Includes its own kitchen and bathroom. 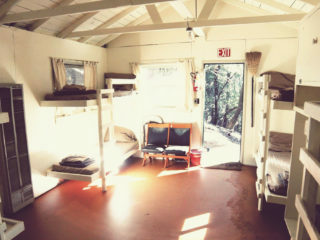 One of the camp’s original buildings. 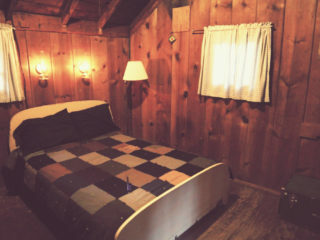 The Honeymoon Cottage is ideal for two people as it as a single full-size bed in it with two rocking chairs and a table.